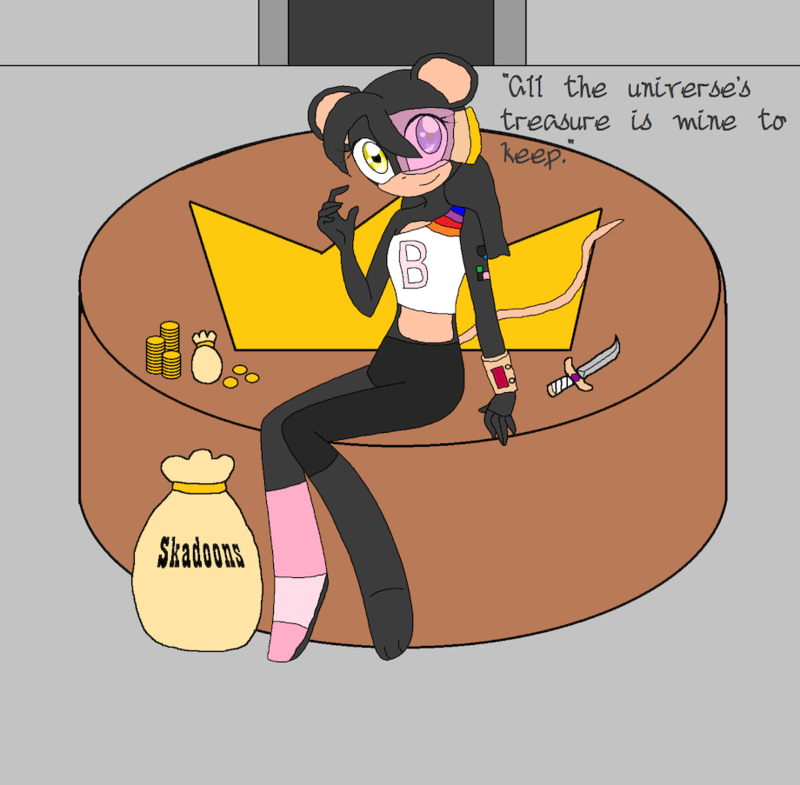 Here is a so called "legendary" Treasure Hunter who takes interest in two things, Skadoons (The recently revived currency of the Gattoian Homeworld after splitting from the Federation of Planets) and jewels. She loves Gold especially rare Rose Gold (or Crown Gold as it called) as seen in her equipment. If you played Sonic Adventure 2, I don't need to explain the scouter like device, and on her wrist is the B.O.A.T. (Bao's Organizer and Assistance Terminal) which has a radio, inventory sorter, radio, and connection to the internet (since she has no access to the Pussyfoot's Database). She was born on the Sourisian Homeworld and like Éclair is branded as per the custom of those born in the motherland. Base was made by SparBases. Her tech is pretty cool too. Hmm. I like her already. ^^ Her tech is pretty cool too. Thanks and looks like I also found my Carol Tea rep for the Avalice Crew, a position vacated by Virtuoso. She's perfect for that position. Nice. ^^ She's perfect for that position. Congrats man. what are you wanted for her? Sl33k owns her, I gave her away for nothing since people weren't jumping at the offer.